But now that you have come to know God, or rather to be known by God, how can you turn back again to the weak and worthless elementary principles of the world, whose slaves you won’t be once more? I am the Lord your God from the land of Egypt; you know no God but me, and besides me there is no savior. It was I who knew you in the wilderness, in the land of drought. They start small, but some are bigger than my hand. Flimsy and fragile, they will make one fall in their life and there’s no getting back on the branch once that fall has happened. They take what they need and then they leave. Yet each one is intricate and beautiful. Lines that look like my veins carefully touch one another and shake hands to say, “Hey, we’re in this journey together.” These leaves, some bigger than my hand, are not beautiful by conventional definition. They’re asymmetrical, at least when I think they are looking their best. Their color is inconsistent and fine lines are apparent. But to me, they’re beautiful because it’s clear they’ve been cared for. Their fall is unique as are their roots and limbs, but their story is not. 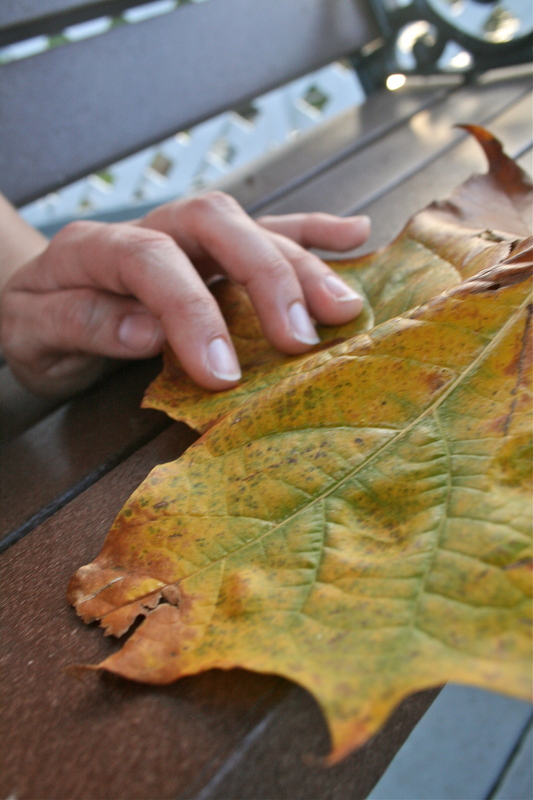 In their short lives, these leaves, some bigger than my hand, grown and function, live and die. The beauty lies in their details, because something so delicate and fleeting shouldn’t need the time of acquired beauty but they do. Because they are beautiful and for that–I’m thankful. If He gives such detail to these leaves, some bigger than my hand, how much detail does He give to us?